Beauty Booster Micro-Needling with Redensity I: What your skin has been craving. The Beauty Booster Micro-needling device is a unique hyaluronic acid (HA) treatment that hydrates, replenishes, and repairs the skin from the inside out working at a level that can’t be reached by face creams or serums regardless of how diligent we are with our skincare regimes. The final result: overall healthier and more radiant skin! Beauty Booster Micro-Needling with Redensity I is used to treat dull, dehydrated, sallow skin and improve its natural brightness, hydration, tone, and texture. Unlike traditional dermal fillers, this treatment’s purpose is not to volumnise the face; instead, Redensity I, a non-cross linked hyaluronic acid filler, formulated with anti-oxidants, amino acids, vitamins and minerals. 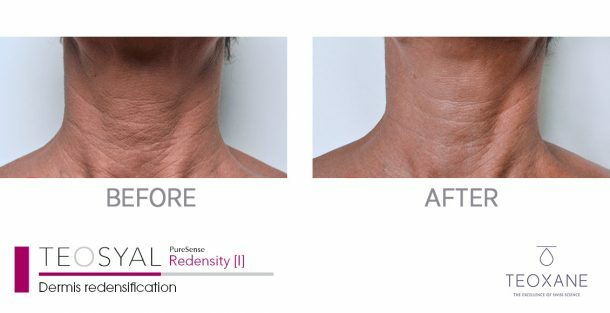 Redensity I’s gel like fluid allows for smooth application of the product with a micro-needling technique to the treated areas. The combination of micro-needling with the Redensity I hyaluronic acid injections are designed to deliver hydration, prevent premature ageing of our skin and to BOOST its overall radiance. The Beauty Booster is a great treatment for all ages and skin types! It is ideal for patients looking to improve their overall skin quality, such as hydration, tone, and texture. If you have thinner, dull, creeping skin it is a great option to treat fine lines, skin quality and improve brightness. It is also for those patients looking for a treatment that will help prevent future signs of aging. The Beauty Booster’s goal is to hydrate the skin and promote formation of new collegen and elastin. After treatment, patients notice a firmer and improved texture of their skin and a glowing complexion.